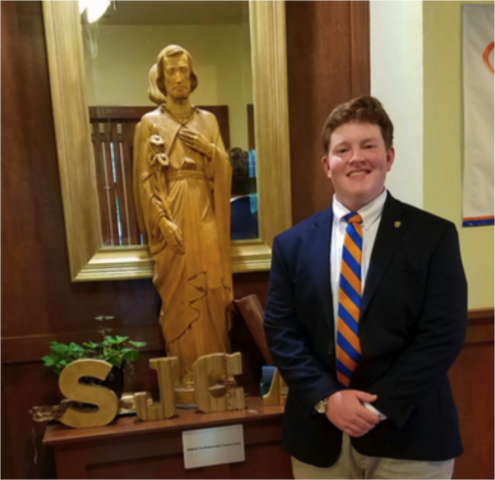 Saint Joseph's Catholic Academy senior Jason Thomas is a 2019 National Merit Scholarship Program finalist. Photo provided. About 15,000 students were selected as finalists from among more than 1.6 million students at 22,000 schools who were entered into the program after taking last year's Preliminary SAT/National Merit Scholarship Qualifying Test, according to a news release. Merit Scholarship winners will be selected based on abilities, skills and accomplishments, with selectors considering information such as "the finalist's academic record, information about the school's curricula and grading system, two sets of test scores, the high school official's written recommendation, information about the student's activities and leadership, and the finalist's own essay," according to the National Merit website. Thomas will be eligible to win one of three types of scholarships. The National Merit Scholarship is a $2,500 single payment awarded on a state-representational basis, without consideration family financial circumstances, college choice or planned major. Corporate-sponsored Merit Scholarships are designated by the sponsor and can be one-time awards or renewable for each year of undergraduate study. College-sponsored scholarships are renewable for up to four years of study and are awarded by sponsor colleges to students who have been accepted and have that school as their first choice. Scholarship winners will be decided between now and mid-June.